How many broadcast domains are there? 3. How many host addresses are available on the network 172.16.128.0 with a subnet mask of 255.255.252.0? A company uses the address block of 128.107.0.0/16 for its network. What subnet mask would provide the maximum number of equal size subnets while providing enough host addresses for each subnet in the exhibit? 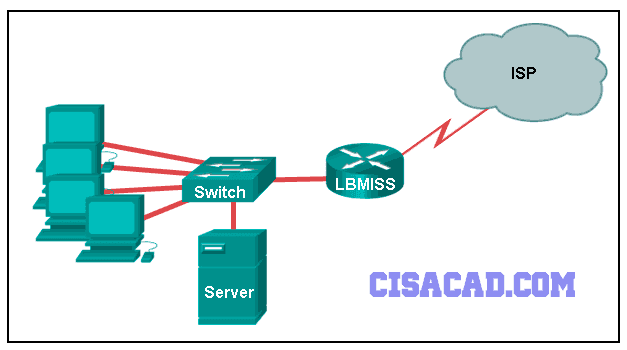 The network administrator has assigned the LAN of LBMISS an address range of 192.168.10.0. This address range has been subnetted using a /29 prefix. 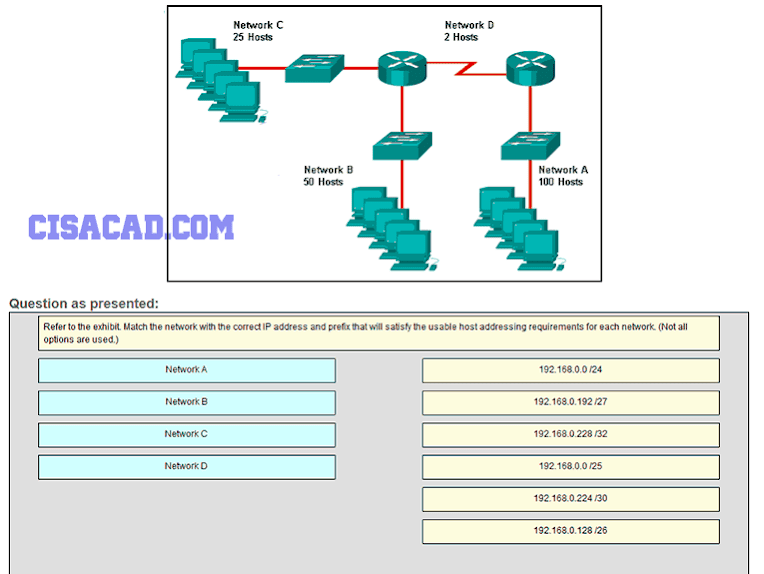 In order to accommodate a new building, the technician has decided to use the fifth subnet for configuring the new network (subnet zero is the first subnet). 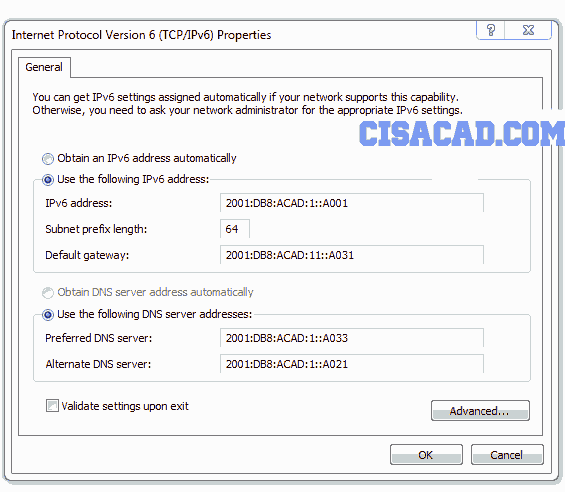 By company policies, the router interface is always assigned the first usable host address and the workgroup server is given the last usable host address. 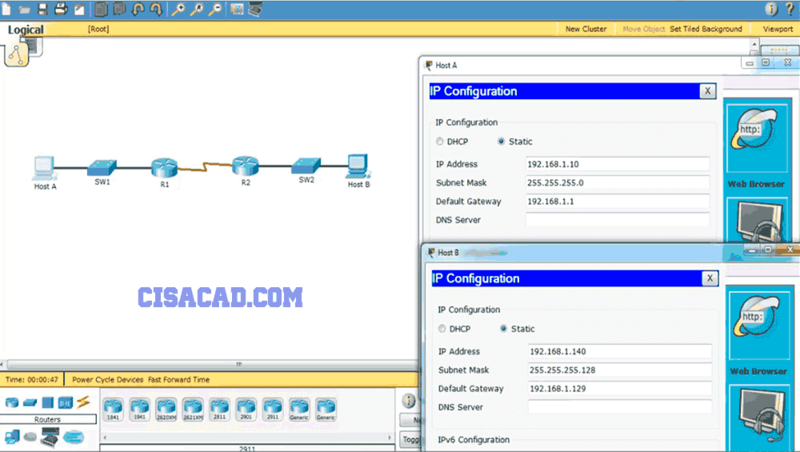 Which configuration should be entered into the properties of the workgroup server to allow connectivity to the Internet? 7. How many bits must be borrowed from the host portion of an address to accommodate a router with five connected networks? 9. In a network that uses IPv4, what prefix would best fit a subnet containing 100 hosts? 11. When developing an IP addressing scheme for an enterprise network, which devices are recommended to be grouped into their own subnet or logical addressing group? 12. 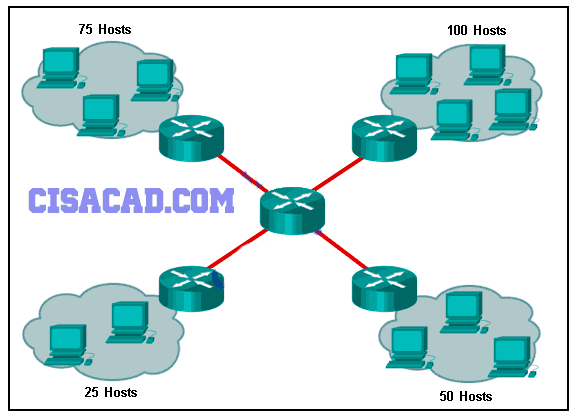 A network administrator needs to monitor network traffic to and from servers in a data center. Which features of an IP addressing scheme should be applied to these devices? 15. When subnetting a /64 IPv6 network prefix, which is the preferred new prefix? 16. 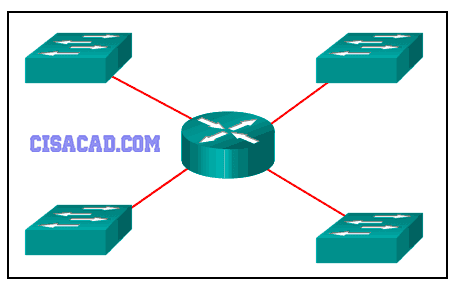 What is the subnet address for the address 2001:DB8:BC15:A:12AB::1/64? In dotted decimal notation, the IP address (172.25.0.126) is the last host address for the network 172.25.0.64/26. In dotted decimal notation, the subnet mask (255.255.254.0) will accommodate 500 hosts per subnet. The prefix for the range of addresses is (60) . A nibble consists of (4) bits. What issue is causing Host A to be unable to communicate with Host B?